Living up to its name, bringing Radnor some magnificent meat. 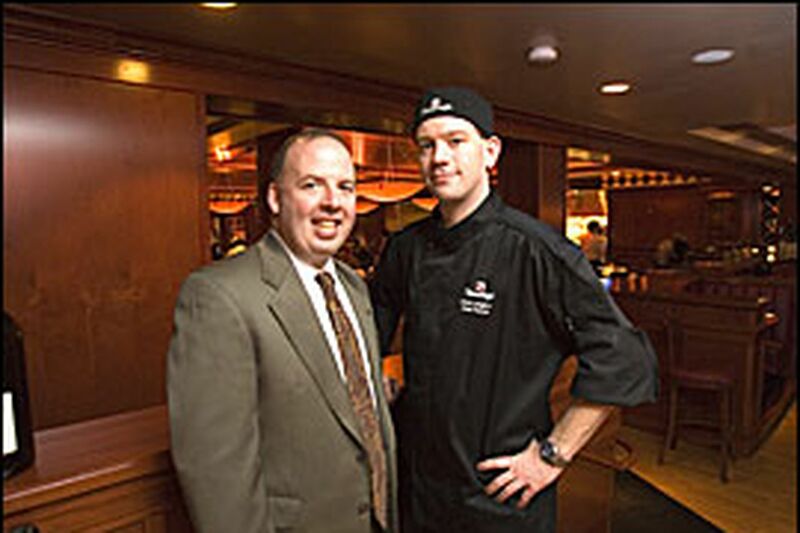 Patrick English, left, operating partner, and Davis Landhorne, chief partner, of Fleming's Prime Steakhouse & Wine Bar in Radnor. 'Welcome to Fleming's Prime Steakhouse Number 45! We're a national chain owned by Outback! . . . "
Next Sunday, Craig LaBan reviews Zento in Old City.